Never Leave Your Dog in the Car: Not even for a second as you go in to pick up a cup of coffee.That cup of coffee may take ten or fifteen minutes if there’s a line. Even a few minutes of exposure could cause your dog to overheat. 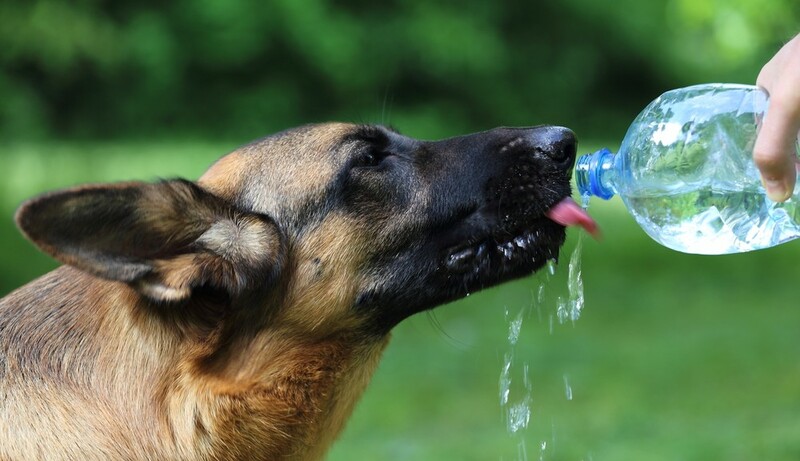 Make Sure Your Dog Has Enough Water: Remember to keep a full bowl of water with your dog at all times. If it’s a really warm day, put a few ice cubes in his or her bowl. Keep the Dog off of Asphalt in the Middle of the Day: Asphalt can be very hot in afternoon. So hot in fact that it can burn your dog’s paws. Keep the dog off asphalt and only walk him or her when it’s cooler outside, like at night or the early morning. If the Dog Does Need to Be Outside, Provide Him or Her with Access to Shade. Have Your Dog’s Fur Groomed If He or She Is Long-haired: Consult your veterinarian to make sure it makes sense for your dog’s coat shaved or trimmed. As the summer heats up, Hussain al Nowais wants you to remember to take care of you and your pets. If you are hot, it’s very likely that your dog is even hotter.